The Short Stay Car Park is located directly in front of the Terminal Building. Parking is FREE for the first 15 minutes to allow easy pick up and drop off of passengers. The car park entrances are located on the Henry Wrigley Drive approach to the terminal. To access the Short Stay Car Park, use the right hand lane on Henry Wrigley Drive. 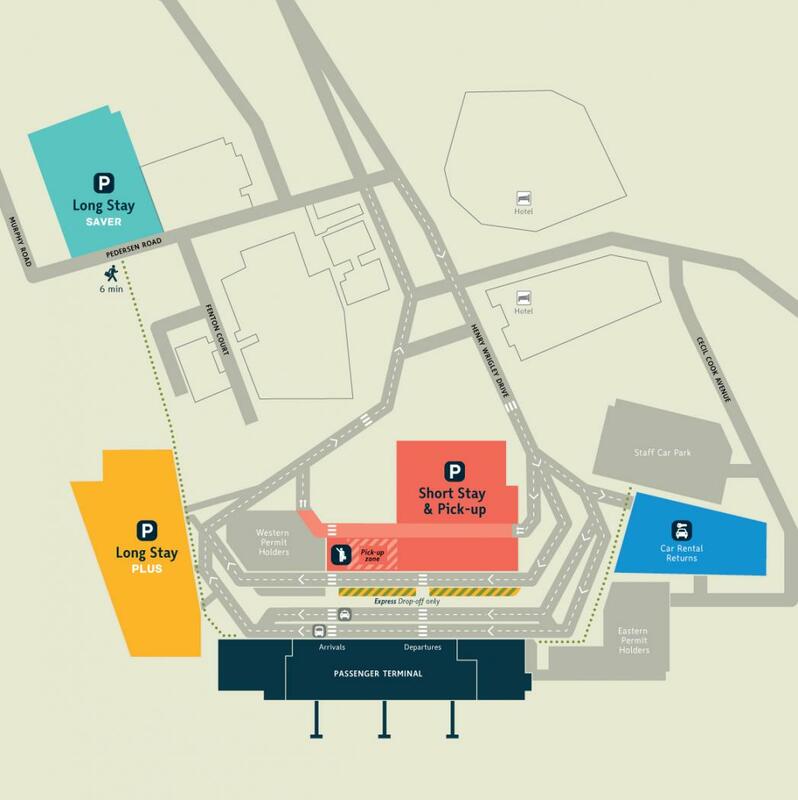 The Long Stay Plus car park is located 200 metres walking distance from the Terminal Building. The car park entrance is located just past the terminal building on the left. During peak period such as holidays, the Long Stay Plus can reach capacity, in which case drivers can proceed to the Long Stay Saver car park on Pedersen Road. The Long Stay Saver car park, located on Pedersen Road, offers a great value option for long term parking with seven days for $99. The car park is an easy 6 minute undercover walk to the Terminal. Alternatively, you can use the phone located near the entry to call the free shuttle to pick you up.